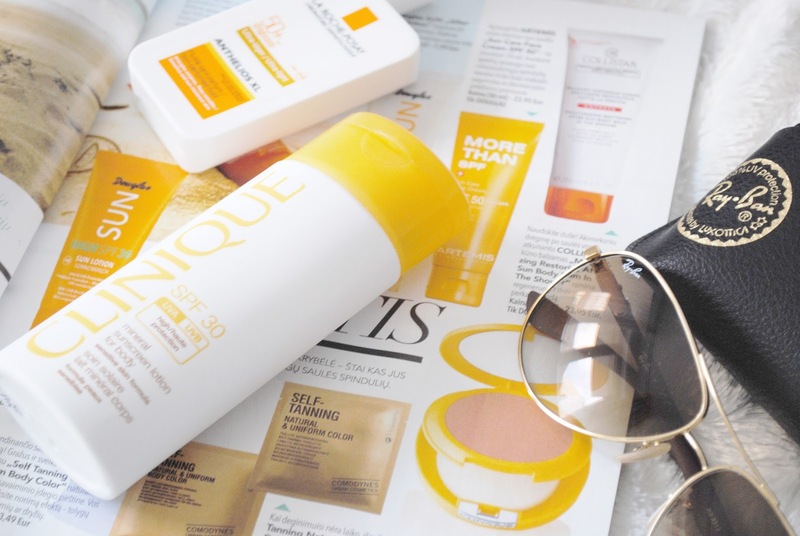 I know that summer is almost over and I'm probably sooo late with this blogpost, but I really wanted to talk a little bit about sunscreens. Just recently I discovered that I am allergic to chemical SPF. Chemical sunscreens use a combination of two to six of these active ingredients: oxybenzone, avobenzone, octisalate, octocrylene, homosalate, and octinoxate. They absorb rays in a chemical reaction that dissipates the heat back off the skin. My skin reacts very badly with these ingredients and I start to itch all over my body, which is not very fun. I did my research and found out that there are sunscreens with mineral SPF too. Mineral sunscreens use active mineral ingredients, such as zinc oxide and titanium oxide. They reflect the sun’s rays like a mirror to protect exposed skin. Generally speaking, naturally derived ingredients used in mineral sunscreens are gentler than chemicals. 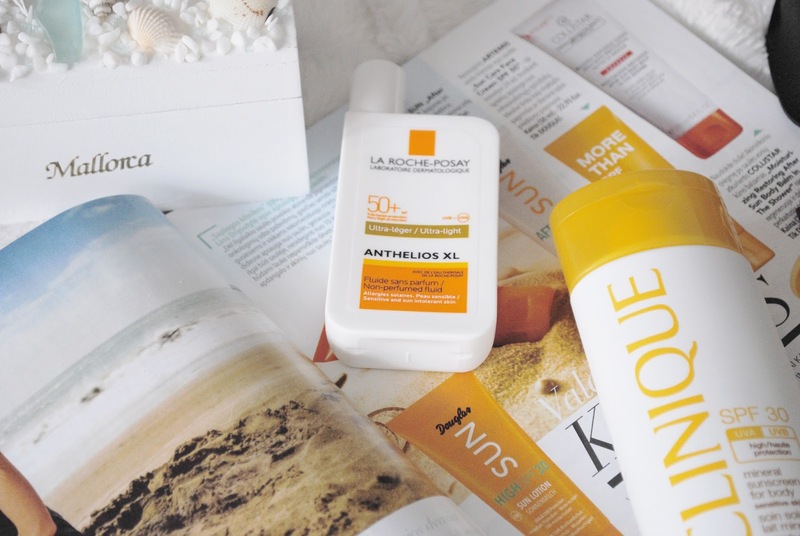 So now I have two products that I want introduce to you, one sunscreen is chemical (La Roche-Posay Anthelios), but somehow it works perfectly well on my skin, and the other one is mineral (Clinique Mineral Sunscreen Lotion). It has a very high, broad, photostable UVA/UVB protection, light, non-greasy texture. It also is very water resistant, tested under dermatological control, fragrance-free, paraben-free, non-comedogenic. 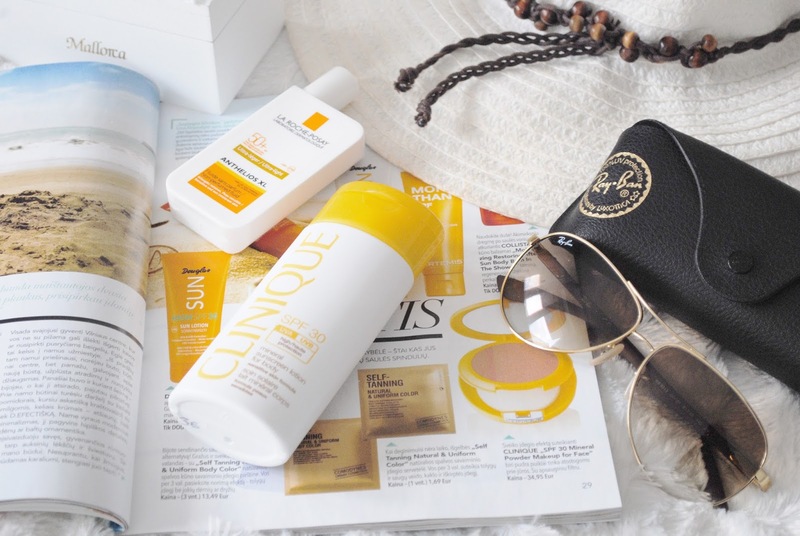 This sunscreen is certainly suitable for sensitive skin. Since it is a mineral sunscreen, it gives a great protection against both UVA and UVB rays. It includes both titanium dioxide and zinc oxide that are two of the main ingredients you should be looking in a sunscreen. The texture of the liquid is runny creamy. It gets absorbed quickly without leaving any whitish cast behind. it does not feel oily or greasy on the skin. This is an oil free sunscreen so people with all skin types can use this. 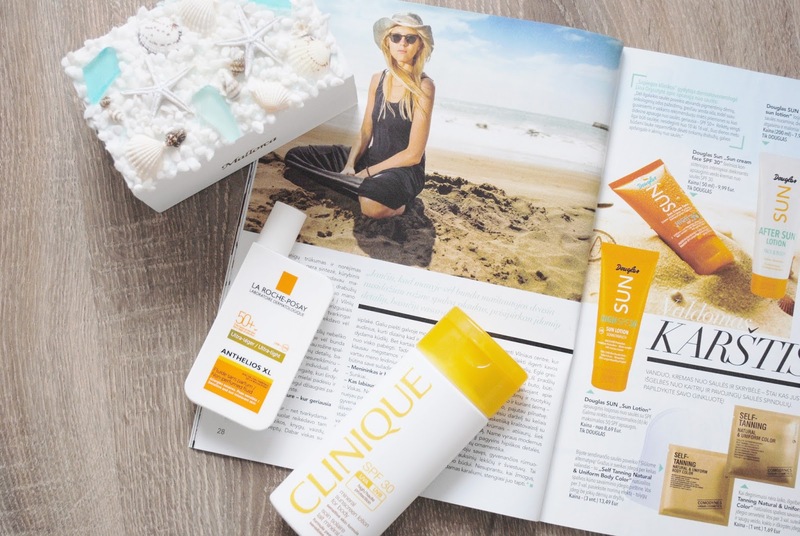 Girls, what kind of sunscreen do you use? mineral or chemical? Let me know in comments!